SOMETIMES IT’S HARD not to become jaded and pessimistic about politics. After the last two years of watching President Trump lead the U.S. into more and more chaos, one could go away believing there is no hope. That politics cannot be a force of positive change. Which is why after last night’s State of the Union address, local politics in Kamloops is so refreshing and uplifting. Last night was an amazing example of a city which is engaged in politics, and the positive outcomes that are possible. 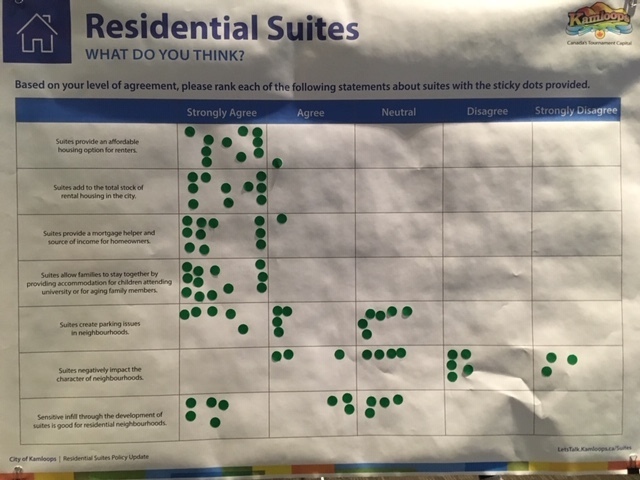 On Tuesday night (Feb 5, 2019), the City of Kamloops held an open house to discuss the proposed Residential Suites Policy Update. 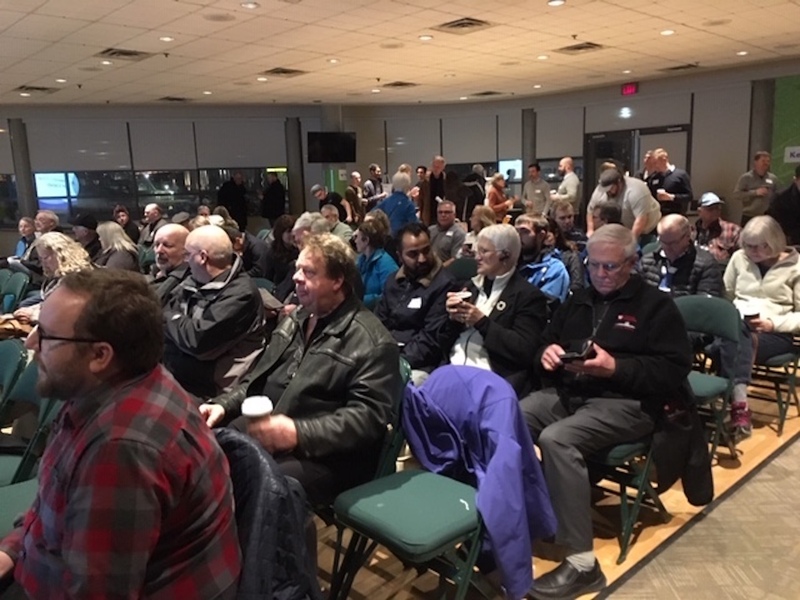 On a -20C night, City staff, and Councillors O’Reilly, Singh, Hunter, and Sinclair came together with hundreds of citizens to discuss how to best change secondary suite bylaws. Changing land use and zonings can often bring out protesters and NIMBYs (not in my backyard). The meeting could have been fractious and argumentative. Instead, it was positive and constructive. At present, City of Kamloops has zoning and bylaws in place which dictate the location and requirements of secondary suites, including basement suites, carriage suites or garden suites is ineffective. Except for site specific rezoning, only small pockets of the city allow secondary suites. At present, City staff stated that there are only 200 basement suites and less than 20 carriage or garden suites in compliance in Kamloops. That means that in a city of 90,000, almost no secondary suites meet zoning and bylaw requirement. There are hundreds, if not thousands, of “illegal” secondary suites in the city. No one is going to jail for an “illegal” suite, but it does mean that the vast majority of secondary suites have been built without building licenses or building inspections. The vast majority are in residential areas not zoned for secondary suites. Suites are “non-conforming”. When tenants live in a “non-conforming” suite, they don’t have peace of mind. There is no reassurance that there is sufficient fire protection or safe exits in case of fire. Neighbors don’t have peace of mind knowing that there is sufficient parking. Owners don’t have peace of mind either. They may not be able to get adequate house insurance, or have the income counted against their mortgage. City Bylaws could force them to remove their suite at any time as well. If they need a rezoning, chances of success are low, especially if there is a neighbor who opposes them. The proposed Residential Suites Policy Update would allow secondary suites in more areas of the city. Hopefully, it would allow an increase in secondary suites, as well as an increase in suites that are compliant for fire protection, safety and parking. The meeting was full of hundreds of citizens who showed up on a -20C night to find out what was happening, to give input, and to ask questions. There was a wide range of people from university students to seniors. From downtown residents, to people from Dufferin, Dallas and other outlying neighborhoods as well. There were homeowners, and renters. What was most encouraging was that, almost universally, there was support for more secondary suites in Kamloops. Owners want the opportunity to “legalize” their existing secondary suites. Renters want somewhere safe to live. University students wanted more housing options. People with disabilities needed housing too. Only one person spoke in the open mike session against secondary suites in their neighborhood. Everyone else was in favor, and was simply asking how the proposed policy could be applied to specific lot types, parking requirements and so on. What was most heartening about the meeting, was that by the end of the night, the vast majority of people who came were heard. There were surveys. Staff and council members were available to answer one-on-one questions and listen to concern. There was an open mike to ask questions in front of the entire room. People left the meeting knowing that they had helped shape changes to the Residential Suites Policy Update. Kudos for Kamloops for following Kelowna, Prince George, and many Lower Mainland communities in updating the zoning for secondary suites. Kudos to Kamloops for affirming that politics can be a force of good, even in these dark Trumpian times. The secondary suites are already there. 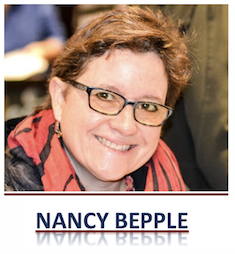 I once served as a census taker and came upon some tenants in unlikely places – a few, needlessly alarmed – in the bottom basement of a business and out back in a restaurant. The thing is how to ensure people are not living in exploited or plainly unsafe conditions. If it involves inspection, and to be fair not many would be alarming as the few ‘non-conforming’ I encountered, we need inspectors who encourage compliance more than ticket or punish and somehow get around the zany idea of 72 hours notice before entering. Good start on the cities part to open it all up and find solutions. We need more modest but safe and inexpensive housing for many differing kinds of needs. There were “hundred” maybe, not “hundreds”…still very few considering the size of the population. While there are positives about secondary suites there are negatives which will need to be carefully weighted. Apartment buildings and smaller houses built to modern standards are arguably better options in addressing housing issues in the city.